So does that mean the Hatchette books won’t be complete? Not only Complete, but they'll include the first Absalom story, too, which may help to somewhat smooth out the abrupt ending of Cabs (by seguing neatly into Absalom). 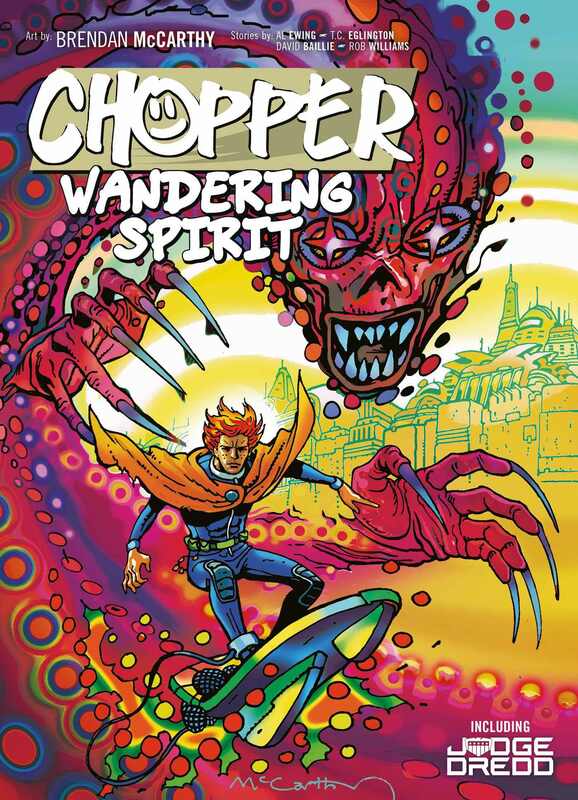 This book collects the latest adventure of Mega-City One's greatest skysurfer as well as several Judge Dredd stories also featuring the vibrant psychedelic art of Brendan McCarthy. Tharg's Future Shocks are one-off, twist ending, sci-fi thrills that have introduced many of the biggest names in the comic book industry through the pages of 2000 AD. The complete collection of mind-bending one-off sci-fi stories from The Galaxy's Greatest Comic continues into the 1980s with the second volume of Tharg's Futureshocks! Featuring early work by creators that went on to engrave their names into comics history, including Alan Moore, Brett Ewins, Colin Wilson, Dave Gibbons and Mick McMahon. A dystopian cyberpunk thriller of identity theft, sentient diseases and fake news, from comics' best-dressed rebels, Peter Milligan and Rufus Dayglo! Mega-City One, 2135 AD. After the destruction wrought by the Chaos Bug with most of the city in ruins, a decimated Justice Department is struggling to cope. With disease, corruption, and looting rife, there are some that seek to take advantage of the city's condition, including dangerous psychic, Algol Rey. Judge Dredd and Psi-Judge Anderson have survived, but after all the violence and horror, can they bring order back to a damaged city? Their limits as Judges are put to the test! Goddammit. Please let this be a typo. I've seldom enjoyed any strip as much as I enjoy Brink. Oh no missed that. Well at least if that's right it will be a nice contained story with a beginning middle and end but damn it feels like it has so much to offer and explore and I could happily read a long with them as long as they wanted. 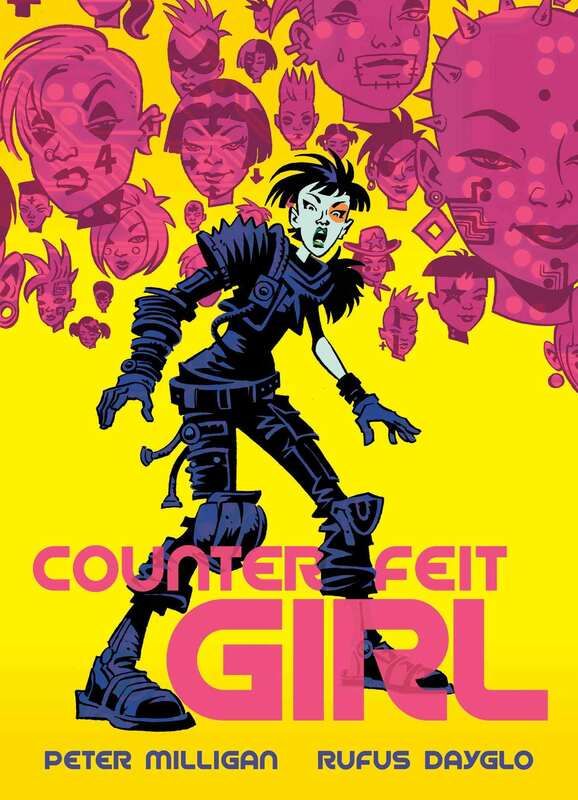 Also does the fact that Counterfeit Girl has a trade mean we're not getting any more of that as well. Shame as I felt that strip had other places to go and would loved to of had it back. Dudes! Do none of you read the informative articles and interviews Molcher spends his thankless days compiling?! Yes, it’s pretty much a trilogy. Book 3 “High Society” debuts soon. But the world is so rich, we’ve found we have strong ideas for at least three more volumes after that. We’ll see how the audience reacts. It all builds into one, big ghastly picture, whichever characters are ultimately around to witness that. We’d love to continue exploring the Brink. I burn everything that History's Greatest Monster™ writes before I can read it, it's the only way to remain a True Fan. Phew, that's a relief though. If Tharg, Dan or Ian are listening, I Want Moah. You should probably nuke it from orbit. It's the only way to be sure. I feel like l'm missing something here. In any case, I'm glad to hear that there is more Brink planned.